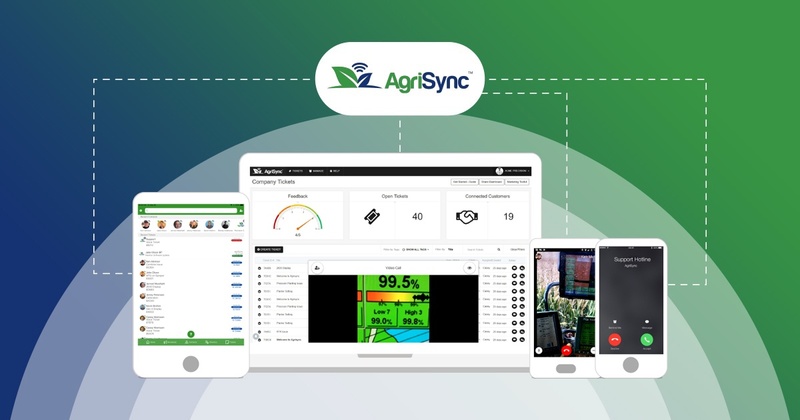 AgriSync enables farmers and advisors to connect and resolve support issues on the farm. Farmers can connect with multiple advisors from different companies to submit and receive support in real-time via video. Advisors can manage multiple service tickets through a dashboard and remote video that allows them to see what the farmer sees in real-time. A Web-based customer service dashboard allows the advisor’s organization to see open cases, resolution status and farmer feedback in real-time. Android, iPhone and iPad. Ag professionals are working smarter, not harder, than ever before. Smart farming technologies have enabled them to reduce costs, maximize yields and profits, and still be incredibly efficient in the process. And there is perhaps no better example of smart farming than with the mobile app. It has become a game changer for on-the-go growers and ag retailers, enabling them to perform critical tasks wherever and whenever they need it. From scouting fields and managing agronomic data, to flying drones and creating farm maps, there is virtually no job that a farming app can’t do. The Mixmate app, along with 16 other new or recently updated apps, are featured in my seventh annual list of agriculture apps available for Androids, iPads, iPhones, and more. I hope the apps listed in the slideshow above can help you farm smarter in 2017.